Want to become part of an Award Winning Organisation? We are always on the lookout for new talent to join our team of professionals. In addition to industry leading pay rates, Amana Living offers staff a range of benefits. During the school holidays parents can receive a subsidy towards their child care costs. Free flu vaccinations each year. Option to purchase an additional one week of annual leave each year. We love to recognise and celebrate the achievements of our staff. Each year we invite all staff to our Annual Awards Dinner to acknowledge these achievements. In recognising the importance of family at Amana Living, we hold an annual picnic for all staff and their families to enjoy. We are dedicated to providing training and professional development for our staff, alongside work-life balance. There are several possible career pathways at Amana Living. The charts below shows opportunities for progression from carer or community support worker right up to operations manager. Further down is a link to a video that gives some insight into careers in aged care. Our Registered Training Organisation can help you with on-the-job training and development. There are many careers choices at Amana Living. Browse the Job Profiles below to learn more about what these jobs involve and why Amana Living employees love their jobs. We employ administration assistants in our care centres and corporate offices. The role varies depending on the location. Here, a care centre Administration Assistant describes his job. A Care Coordinator from an Amana Living residential care centre describes her work. Carers are employed in our residential and transition care centres. Their role is to provide direct care and personal support to residents, and to maintain a comfortable and safe environment for them. This may include personal care tasks, mobilising and transferring the resident between locations, ensuring they take correct medication and encouraging them to socialise. Watch this video to hear Amana Living Carer, Ranjit (Rocky) Singh, explain why he enjoys his work. Amanda Koekemoer (pictured with resident Jane Farr) has been a carer at Parry Care Centre in Lesmurdie for four years – a job she couldn’t imagine living without. She also works as a part-time occupational therapy assistant and provides holiday administration relief. We asked Amanda to tell us why she loves her job so much. Amanda, why did you choose to work in aged care? How did you come to join Amana Living? I first worked for my Certificate III. Then one day I just happened to be walking down the road where Parry is situated and I knocked on the front door. There was a position available so I applied for it, and the manager who was there at the time was thrilled. She welcomed me with open arms! Since then, I’ve come to feel part of the Amana Living family – it has been wonderful! I was very fortunate to be selected to do a course on palliative care, and to be involved in setting up a palliative care team at the centre. This is by far my favourite part of the job. You feel a sense of presence, calmness and peacefulness during that last stage of life. It’s an honour to be there for someone at such a time. I would love to do this full time. What advice would you give to young people considering aged care as a career option? I see a lot of trainees and students come to Parry, and I’ve noticed that it’s those with real empathy who do well. I would say, remember that you’re doing a job for the residents, not for yourself or for money. This isn’t just a 7 to 3 job – care staff need to be generous with their time and not rush things. Respect is also vital. We are coming into the residents’ home, and it’s important to remember that. What will be the next step for you? To continue what I’m doing! I work for the love of it, and this job has become my life. I’m happy doing the OT and admin jobs too. In fact I’m very happy with my life as it is. In this video, another Amana Living Carer, Ranjit (Rocky) Singh, explains why he enjoys his work. The role of Community Support Worker within Amana Living is to deliver home care services, the aim being to support clients in maintaining independent living. CSWs carry out a number of different activities, depending on the client's care plan. These may include driving to appointments, shopping, personal care, preparing meals, assisting with medication, social support and domestic duties. This video features a CSW describing her job. 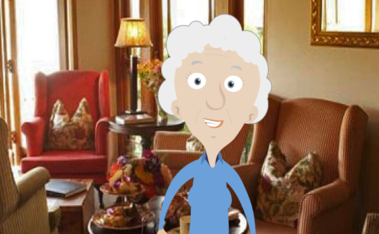 There are two key coordination roles within the Amana Living home care service. The Resource Coordinator plays an integral part in delivering home care services to our clients. Their role is to allocate services to our Community Support Workers, ensuring details are kept updated, rosters are organised efficiently and managing last-minute changes. They collaborate with Home Care Coordinators to ensure the right person is rostered to provide the right service at the right time. The Home Care Coordinator is a first point of contact for clients and their families. They manage the delivery of packaged care, which includes creating care plans and conducting annual reviews to ensure each client continues to receive the right care as their needs change. Amana Living Clubs provide day-time respite care for people living with dementia. Here, a Club Coordinator describes her job. The Facility Manager, or Service Manager, in a residential care centre is responsible for leading and managing the staff, ensuring the delivery of quality clinical and allied health care to our residents, and managing the operations, including hospitality for the site. After completing her graduate nurse program with Amana Living, Sharon Maitland decided to stay with the organisation. A steady career progression led her to her current position as Service Manager at Wearne House, Mandurah – a 47-bed residential facility. Here, Sharon tells us about her role. What attracted you to Amana Living? In my last year of uni, I attended a nursing expo to find out about graduate programs. I wanted to work in aged care, and Amana Living (then Anglican Homes) had a stall. So I chatted to the staff member on duty and loved what she had to say about the industry and the organisation. I applied for the graduate nurse program and began in 2002. We work for a great organisation. I have loved seeing Amana Living grow and become a household name. I have always felt supported and valued by management, and have had various career pathways open to me. We have a culture of seeing the potential in our staff and nurturing them to transition into different roles within the organisation. I wouldn’t be where I am now without having learned from the best. I can’t imagine working outside the aged care industry and it’s pretty hard to imagine working outside Amana Living. What’s so special about your job? I love my job for many reasons. I always thought it was great having four grandparents, but to have 47 at any given time, not to mention the extended ‘family’ that comes with them, is probably one of the best perks of the job. I work with the most incredible people. It never ceases to amaze me how much they give, no matter what role they work in. This is exactly what I would want for my mother when the time comes. What would you say to someone who’s thinking about a career in aged care? If you want to go home feeling good at the end of the day and not dread the alarm clock going off the next morning, this could be the job for you. For any difficult aspects there are 100 positive things to make up for it. It’s a cliché but you really do make a difference. I still run into families of residents I nursed 12 years ago who remember me and tell me how much I meant to them. Aged care nursing is now finally being recognised as a specialist field and receiving the accolades it deserves. In this video, another Amana Living Service Manager, Stephanie Steensma, describes her role. Maintenance work in aged care is so much more than a job. In this video, a Maintenance Supervisor explains why. Amana Living employs both enrolled and registered nurses in care centres and in our home care service. We also have related positions offering career development, such as staff development nurse. In this video, an Amana Living Registered Nurse describes working in home care. Occupational therapy staff working in residential, transition and respite care explains what their jobs involve. The role of Operations Manager offers potential career development opportunities. In this video, an Operations Manager in our retirement living division explains what his job involves. 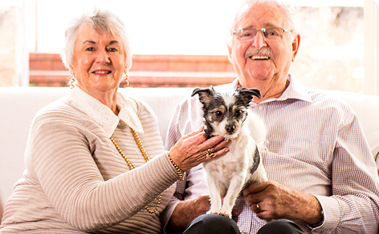 A Service Coordinator for our retirement villages explains what her job involves. Amana Living employs social workers within the transition care centres. In this video, a Social Worker describes the role. 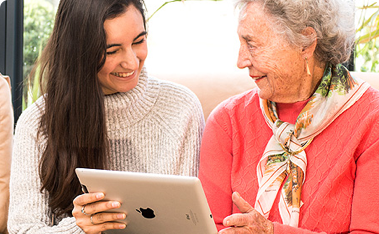 An Amana Living Systems Administrator explains why he enjoys working in aged care. There are a number of professional roles at Amana Living. Many of our staff have taken up the excellent training and development opportunities we offer. This has helped them to continue their career path within Amana Living, and to remain challenged and excited by their work. Why the choose Amana Living Training Institute? Employer supported nationally recognised* qualifications offered to all our employees.